Fabio Cardoni is a man after our own hearts. “Steel is more beautiful than plastic, and simplicity is more appealing than complexity,” he says. Sig. 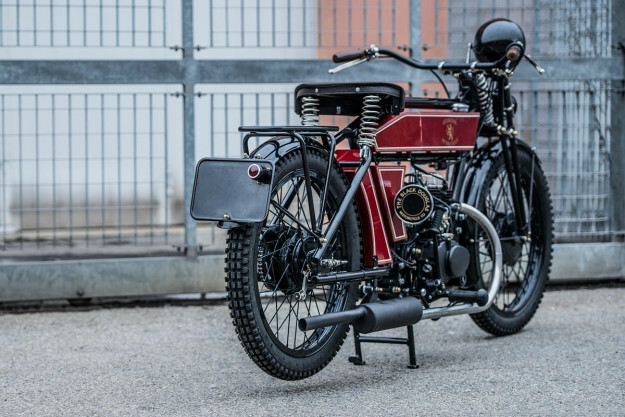 Cardoni runs The Black Douglas Motorcycle Company, which makes the vintage-styled machine you see here. 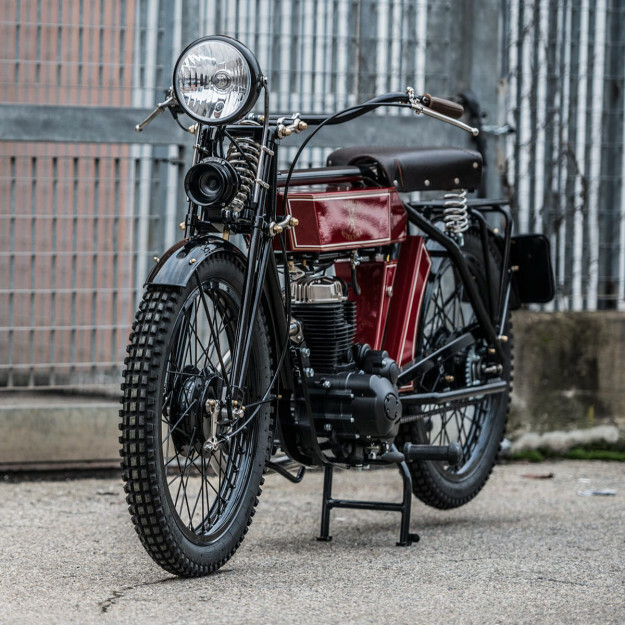 Called the Sterling, it’s the two-wheeled equivalent of a Morgan car: a coachbuilt vehicle with the charisma and craftsmanship of a bygone age. Regular readers may recall that we covered Black Douglas a couple of years ago. We’re revisiting the company because the Sterling has been developed into a significantly better bike, and there’s now a dealership network on the way. 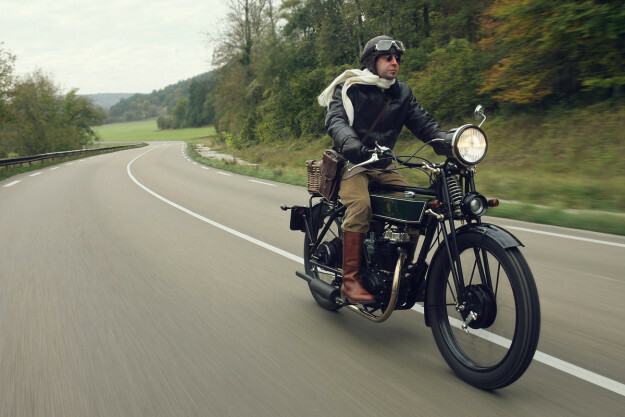 There are already showrooms in the UK and Italy, with Germany and Austria set to open soon. Australia is next in the queue, and there’s a kit version of the Sterling available for the USA. 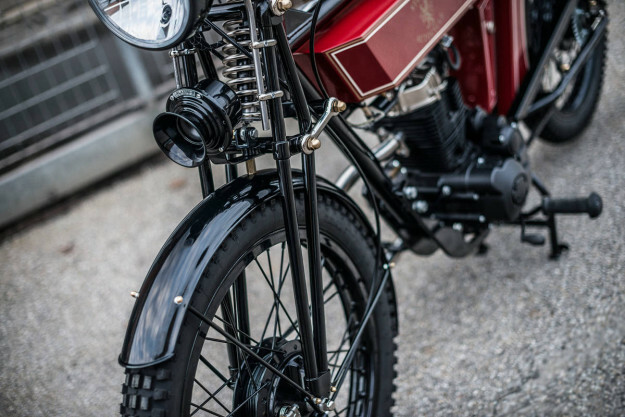 To develop the Black Douglas, Cardoni brought on board a prototyping company owned by an engineer well known to both Ducati Corse and Yamaha Motorsport. Together, they’ve ‘industrialized’ the Sterling for production, creating the Mark 5 version. “It was difficult and expensive,” says Cardoni, “but also fun. Especially when you’re trying to convince a racebike specialist that you need a girder fork.” The forks are no longer bought in from an outside supplier: they’re hand-made from 7075-aluminum alloy, and individually machined on lathes. They’re also a little shorter, with one degree less rake to sharpen the steering response. And there’s now a discreet adjustable shock absorber that improves the movement of the forks. The tank is built using ‘Peraluman’ alloy, bent and welded into shape. You get a choice of two engines: a 125 and a 230, with a 400 on the way. The engine components are produced in Taiwan but assembled in the Italian factory. The other upgrades are mostly in the detail—improving build quality and the riding experience. 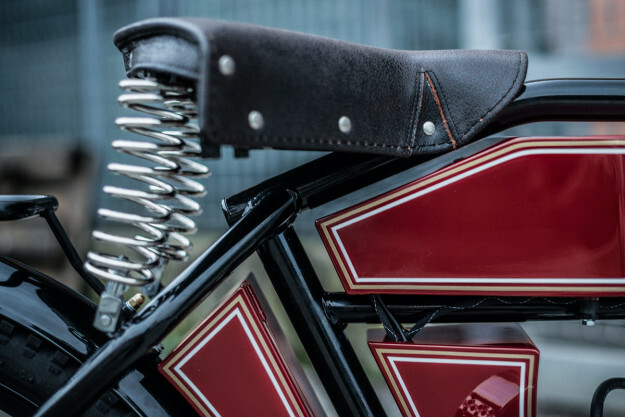 The tires are slightly chunkier, the seats are handmade in-house, and the electrical wiring is wrapped in cotton, vintage-style. 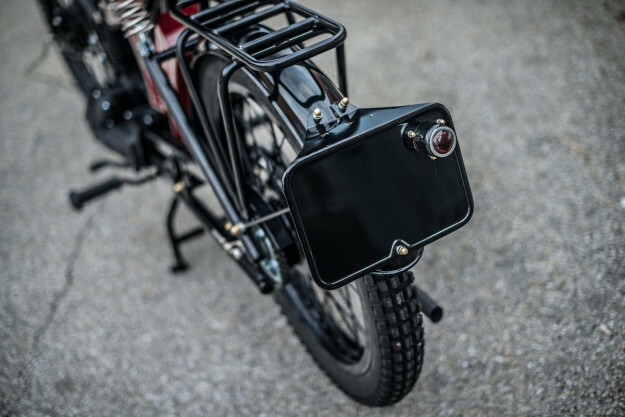 The exhaust is now catalyzed, and the Black Douglas has passed homologation tests in Europe. “We can now stamp our own frame numbers, and offer a two-year warranty,” says Cardoni. Right now, he’s working on homologation for Australia and Japan. Next will be EPA compliance, so that built-up bikes can be sold in the USA. 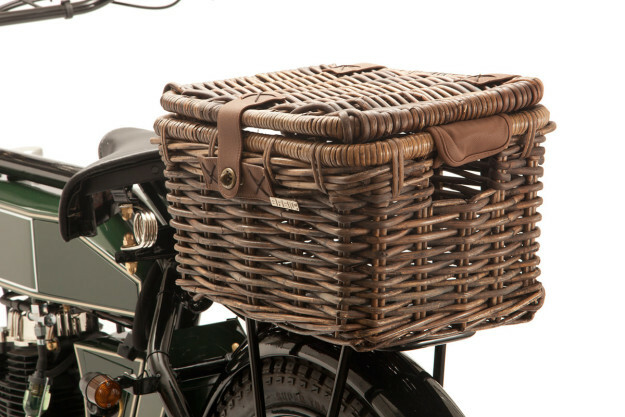 “We’re also working on a wicker wood sidecar and other extras such as different handlebars, headlights, seats, fuel caps and more,” says Cardoni. 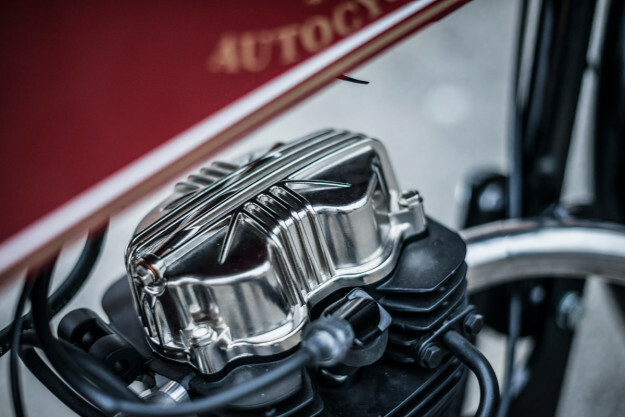 Also on the slate is an Italian designed and built 350cc engine, which will equip a premium model to be called the Sterling Imperial. We’d happily take the current Mk 5 Sterling, though. Tipping the scales at just over 100 kilos, it’s considerably lighter than its predecessor, it brakes better, and the riding experience is smoother. Prices start at €4500 (around US$5,000) for the kit bike, or €8750 (US$9,600) plus taxes for a fully built-up machine. That’s the kind of money some folks pay out to modify a stock bike. 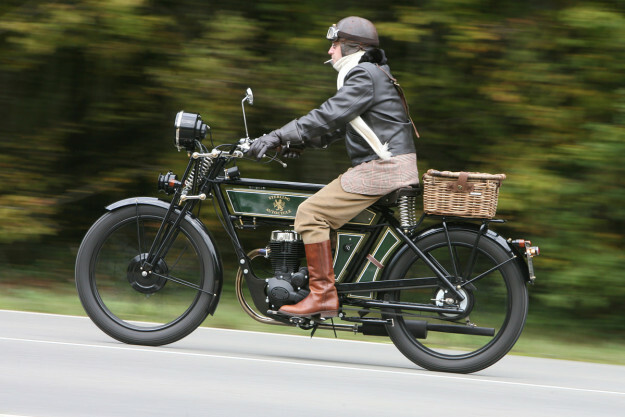 The Black Douglas order book is full for the next couple of months, and we’re not surprised. Now, where did we put those plus-fours?